Her error? You can get ring worm on ANY PART OF YOUR BODY. I had it on my shin twice in my teens, likely picked up from the girls locker room at school. If you do a simple google of it, you’ll find from webmd and a number of other reputable medical sites (and the wikipedia entry is actually pretty accurate) that there are multiple fungi that can cause ringworm on different parts of the body. The three she mentions are just that, only three of the many. Perhaps I should find myself some food, grumpiness at random mistakes on the internet is usually a sign that I need to eat. Some of you will remember from last year my love of the saute mix from Harmony Valley that came in my CSA boxes. I’ve been missing that with my CSA this year with Vermont Valley. So I decided yesterday to venture to the farmer’s market to fix that. Now, I could have simply gone to the largest producer only farmer’s market in the country which is about a mile from my house and get saute mix straight from the Harmony Vally stand, but that farmer’s market leaves me filled with rage and homicidal tendencies. Needless to say, I avoid the square Saturday mornings at all costs. Instead when I’m itching for a farmer’s market, I venture a bit further away and go to the Westside Community Market. I can cover the entire thing in about 15-20 minutes. Scope out all the stands, and then go back and buy what I want. Since I had no recollection of what greens are actually in the Harmony Valley saute mix, this was kind of an experiment. I already had collard greens at home from my CSA box. I talked to a woman at one of the stands that had a number of greens and she suggested that flat leaf kale, mustard greens and dandy lion greens would all go well in a saute mix. I also figured swiss chard would go well to, so I picked up a bunch of that from another stand. This morning I rinsed all of those greens and chopped them into roughly one inch wide pieces (as in, just hold the entire bunch of greens piled up and slice about an inch wide swath, thats it). I mixed them all well in a bowl, and wa la, saute mix. As per my usual, I fried up 2 slices of bacon. I put a bit more bacon fat in the cast iron skillet and added two handfuls of my saute mix. Cooked it down a bit, put it on my plate, and then did my usual overhard egg in the remaining fat in the pan. I’ll only change two things for the future. Next time I make the mix, I’ll derib some of the leaves a bit better. They don’t all cook down at the same rate, so I ended up with some probably a bit over cooked, and some leaf ribs a bit under cooked. All edible, but perhaps it would be better with a bit more trimming. And for tomorrow morning, I think a generous handful will be sufficient rather than the two I tried this morning. My weight has been hovering in the low 160’s for almost two months now. The difference though since starting the Primal Challenge is that I’m also trying to increase my exercise. I’ve consistently been either walking to campus or biking. We even walked the 1.5 miles to a party last night. Granted, all the ‘good’ things I’ve been doing are probably still being outweighed by the ‘bad’ things I’m doing. There is still about 2 tsp of sugar in my coffee. I definitely indulged in alcohol last night. And gluten free pretzels. And if I were shooting for strict primal, the potato pancakes I had last night with dinner were also a no no. 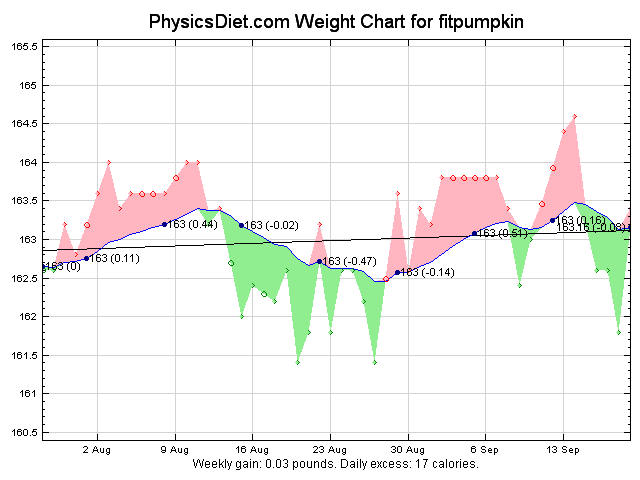 As I would like to lose a few pounds, I may try dialing in my carbs a bit more. I’m already planning to up my exercise a bit simply because I need it. But the more I read, the less I’m sure the science firmly supports just the Primal category of eating. And as I get more into what is available on the internet… gosh I didn’t realize how big of a community this is! Here’s a nice Venn diagram for you comparing the Paleo, Primal and Atkins diets (some simply call this vlc or very low carb). You can also be PaNu, which other than no dairy, also resonates with me. Girl Gone Primal has a nice piec that really covers the SCIENCE side of this whole realm of eating, with tons of links included so you can read about the actual science. As I mentioned last week, the more I read, the more convinced I am that really the answer is just eating whole foods. In moderation. One of the things that resonated with me from the PaNu site is he mentions that if potatoes work for you, then eat potatoes. Find what works for you. And my guess would be if you also focus somewhat on eating local and seasonally, you’ll find you probably end up on the lower side of the carb count because lets face it, corn and potatoes aren’t in season all year round, and if you focus on local, well, sorry, they don’t grow rice in Wisconsin!